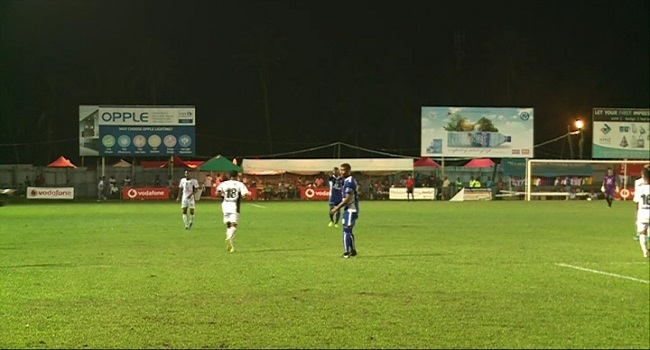 The Lautoka football side has made a winning start in the Vodafone Fiji FACT, beating Suva 1-0 at Ratu Cakobau Park in Nausori. Both sides were held nil all in the first spell. Second half replacement, Osea Vakatalesau scored the winning goal for the Blues. Lautoka Coach, Kamal Swamy says they new Suva weak point and worked on it. Suva coach Tuka Tisam says it was a hard-fought game against one of the favourites. He says now they need to regroup and come stronger tomorrow against Tavua. Meanwhile, in the other matches earlier, Tavua beat Nadi 2-1, Labasa defeated Dreketi 2-0 and Rewa is currently up by a goal against Ba.